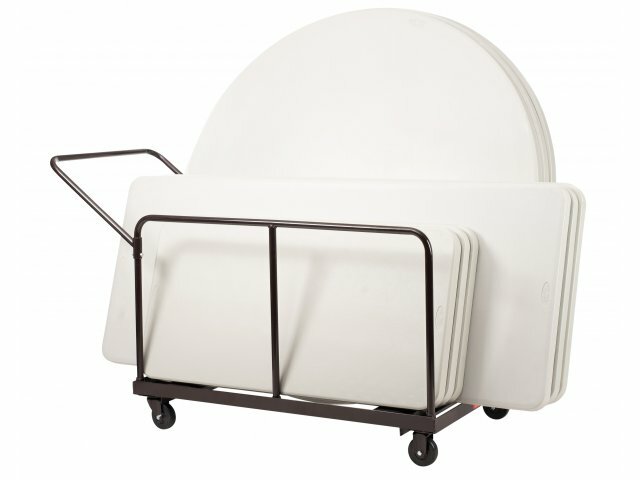 This versatile folding table cart is perfect for schools and institutions that have tables of various shapes and sizes. 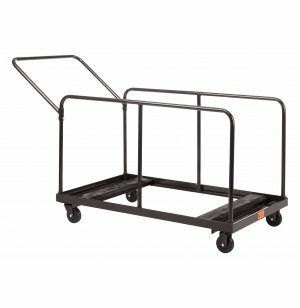 With the ability to fit both round and rectangular tables, up to 8-feet long, this cart will save you a lot of time and effort. The specially-designed handle accommodates longer tables, while also facilitating smooth steering. With a folding table dolly that can hold tables of different dimensions, getting your space set up and cleaned up is much easier. The upgraded stained-plywood base is specially designed to provide proper support for a selection of shapes and sizes. Whether you are transporting or storing your folding tables, keeping them all in one convenient place will save lots of time and energy. Versatile Design: Holds round and rectangular folding tables, up to 8-feet long. Tough Support: Upgraded beveled stained-plywood base provides sturdy support for all tables. Easy Steer: Convenient steering handle makes it easy to glide tables into position. 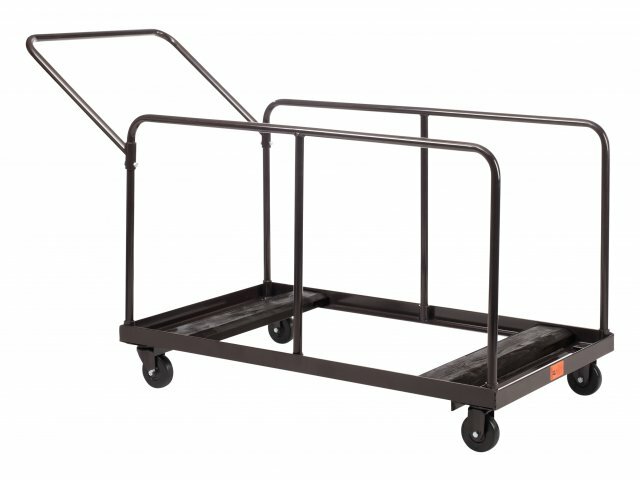 Smooth Rolling: Rolls on four sturdy casters.